When a bespoke furniture maker needed a British hardwood to fulfil a large commercial contract, we knew that we could deliver. Forest to Home makes beautiful, modern, handcrafted furniture for various clients including Nando’s, and Japanese restaurant Tonkotsu. 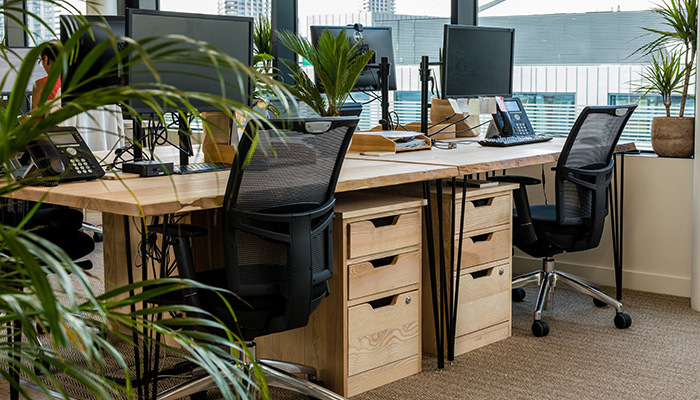 When luxury holiday company Jacada Travel approached them to design and create office furniture for them, Forest to Home knew it needed to be as bespoke as the holidays they arranged. 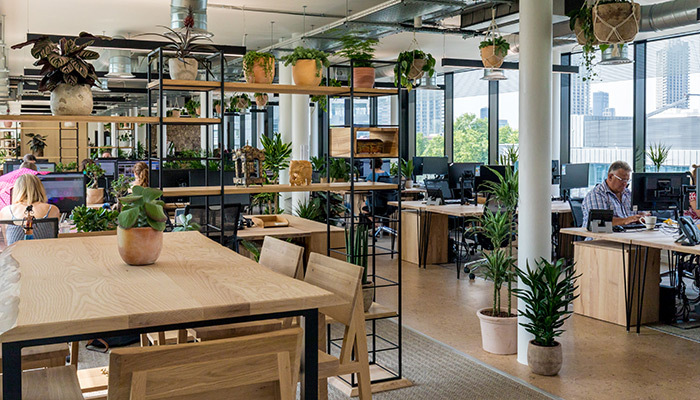 Both client and Forest to Home decided that the travel brand needed light, bright furniture – and they were keen to use locally grown, sustainable timber to achieve the effect. Strong advocates of the Grown in Britain programme, Forest to Home wanted to work with a supplier who shared their ethical values and vision. Vastern Timber were delighted to help by supplying the furniture maker with 10 cubic metres of 27mm and 41mm kiln-dried British ash: all of it free from knots and defects, and all Grown in Britain certified. This accreditation means that the maker and the client can be sure of local provenance and good woodland management at source. As part of the service, Vastern Timber cut the sawn ash boards to a specification, and machined the surfaces and edges ready for sanding and gluing. 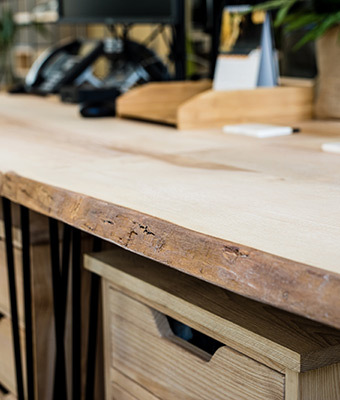 The skilled machinists also selected boards with attractive waney edges to form live edge tops for the tables and cabinets, all adding to the organic appearance of the project. Ash is a wonderful wood, yet it’s often overlooked in favour of oak. It is tough, flexible and its straight grain has made it a firm favourite with furniture makers for centuries. What also set ash apart for this particular project was that its creamy paleness proved the perfect tone and colour for Jacada Travel’s brand. Better still, ash represents excellent value for money, as it can be around half the price of oak. "Vastern timber understands our needs and ethics as a small growing business. 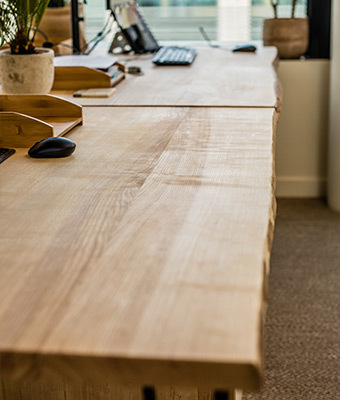 Their help and advice when selecting beautiful, sustainable timber is extremely important to us. For the Jacada project this was vital as our client cared deeply about the story behind the materials he was sourcing."